Canadian Cmdr. Chris Hadfield has made his stay aboard the International Space Station a teaching moment, tweeting out images of the earth from space and reaching out to schoolchildren. 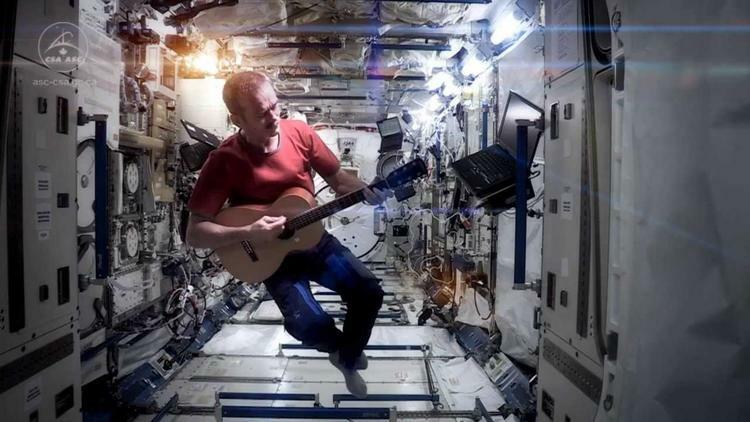 He has also been an advocate for manned space exploration His last transmission before going home is a cover of David Bowie’s 1969 “Space Oddity,” shot in space. Ironically, Bowie’s song was allegedly a parody of Britain’s failed space program. Cmdr. Hadfield is expected back in Kazakhstan 10:30 pm Monday.